LUGOGO – A football team fields 11 players but it takes a character to decide the end result. Uganda Premier league log leaders KCCA FC’s definition for the terminology is attacking midfielder, Sulaiman Mutyaba. The forward has found the back of the net in their last two outings guiding them to a 1-2 win over Jinja Kirinya and was on the score board as they maintained a four points lead after drawing one all with Vipers on Thursday. With the visiting side, Vipers going into the break with a 0-1 lead, KCCA FC returned with vigor and on 50th minutes, Mutyaba leveled maters. Both teams started on a high note in the first half of the game. Brian Nkuubi gave Vipers an early lead in the 29th minute assisted by Hamis Diego. KCCA had the more chances in the game but Vipers’ goal keeper Derrick Ochan denied them. Muzamiru Mutyaba would have scored a winner for KCCA but he missed two chances to score in both halves. The first scenario, his header beat the post and his second was denied by Vipers skipper in the 70th minute. Vipers packed the defence with three defenders and didn’t give KCCA a chance to score. KCCA made a double substitute at the beginning of second half by removing youngster Saddat Anaku for Patrick Kaddu and Jackson Nunda came out for Gift Ali. Speaking to the press Vipers head coach Nam Puma said Halid Lwaliwa’s injury disorganized their game plan that’s why they did not win. “Our game plan was disorganized when Halid Lwaliwa got an injury because I was sure we would get a win. Ouma said. Ouma’s counterpart, Mike Mutebi’s said the his team played well though in the final third of the pitch but the players were not patient to score the golden goal. “The players had a good game, they played well but in the final third of the pitch they were not patient to score the winner. Mutebi said. 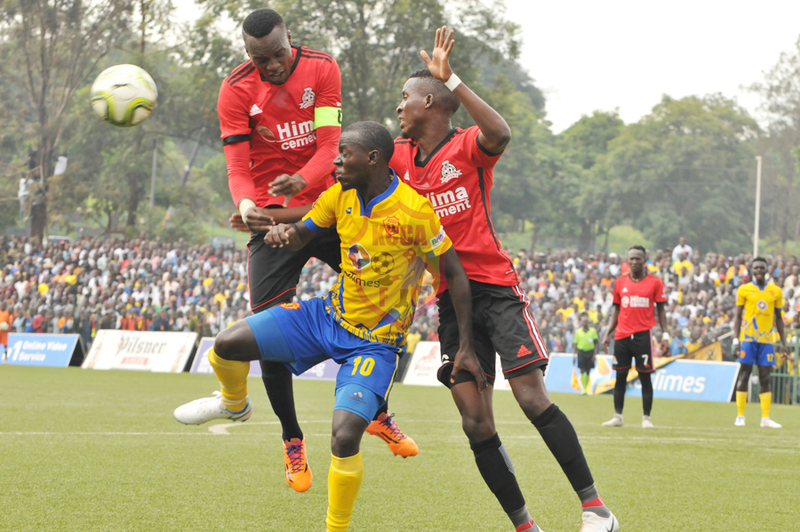 KCCA is still the table leader with 53 points while Vipers has 49points.